Is Oliver from Arrow a Bad Man? I find myself conflicted at times when watching Arrow because Oliver Queen is a flawed person - or an anti hero if you will. Especially early on in season one he would do whatever it took to achieve his goals, specifically murder and breaking and entering. Yet I find myself rooting for him. How do you feel about Oliver Queen? Is he a bad man? Do his motives excuse his actions? Are you conflicted by rooting for someone who isn't 100% 'good'? I think Oliver is a messed up person, but not an evil person. I think his concepts of decent and moral are warped, but I also think he lives in a world where everyone's sense of decent and moral is warped. I'm not entirely sure if that statement even makes sense. It depends how you evaluate a person. For a character to go through what he went through, the chances are that he would probably have some serious issues. 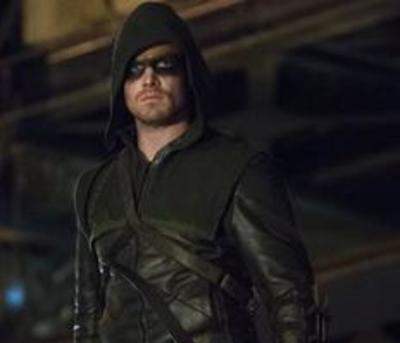 However, maybe it takes some one like Oliver to straighten out a corrupt city! I think he's a bit confused one. It's a shame because I really liked him at first,, but he's gone the other way. Initially I found his character to be very confused and his experiences made him revenge seeking albeit targeting pretty nasty characters. His moral compass has definitely matured and he's building different values. The world in which his character operates is a pretty corrupt one so as a super hero I think he does what he cans. The darkness of his environment I think allows for a slightly deeper storyline than the average superhero show.